As a community of tech addicts, we tend to be a bit more demanding of our phone's battery life than the average user. Because of this, we need to take advantage of every opportunity available to recharge our gear. A perfect time to top off the tank of the ol' smartphone is during the daily commute. 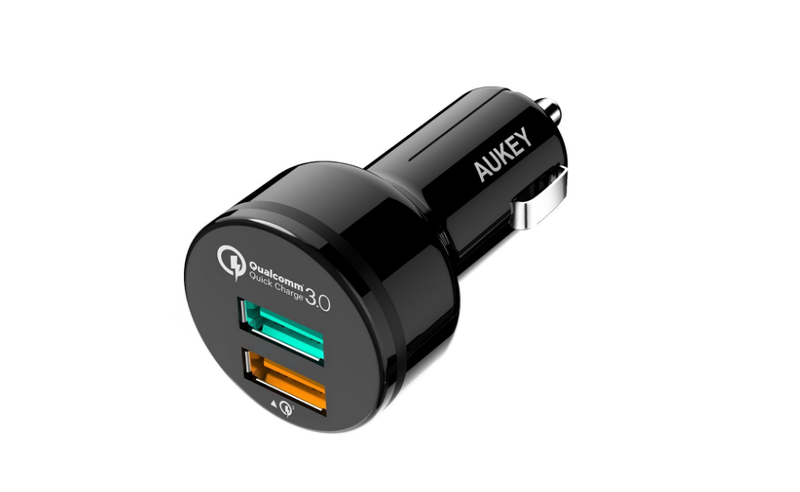 If you are fortunate enough to have a short one (you lucky devil) then you need a car charger that can provide the much-needed juice in a hurry. There's a car charger on sale today for just under $8 that does just that. It's made by Aukey and features two charging ports, one has an output of 2.4A, and the other supports Quick Charge 3.0. It's not terribly flashy, but it gets the job done just fine. In fact, it's the charger that's been in our family minivan for the past 6 months, and it's still working great. To get this deal, follow this link over to Amazon, and enter the code YJ8HH6C7 at checkout. It will bring the price down from $12.99 to $7.92. The device ships free for prime subscribers and will still arrive before Christmas if you want to pick one up as a stocking stuffer. It's a gift just about anyone would appreciate.